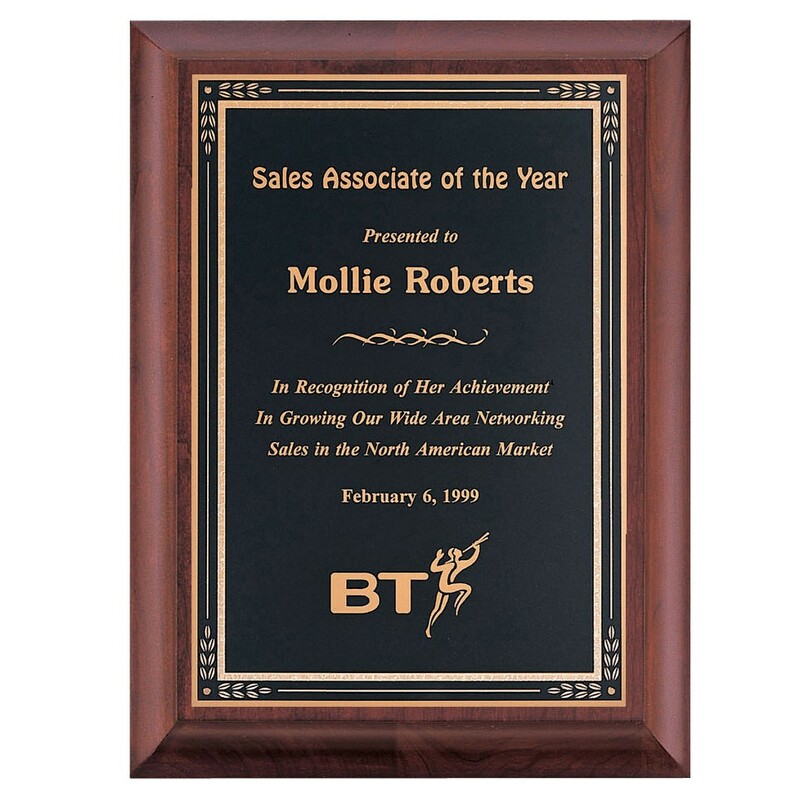 This solid, Custom Engraved Rosewood Wall Plaque is a popular corporate gift for valued customers. The brass engraving plate has a beautiful black Florentine border plate edge that gives a very sophisticated and stately quality. 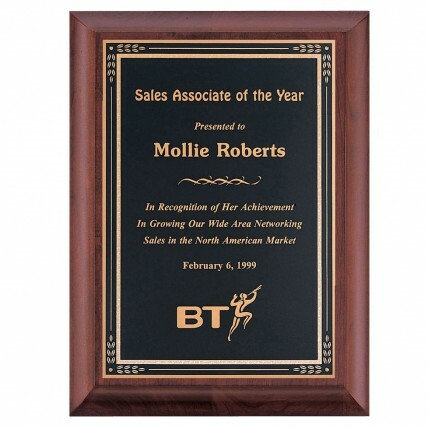 Up to 8 lines of engraving is included in the price; your choice of 3 sizes. 7x9: 9", 8x10: 10", 9x12: 12"
7x9: 5.25"x7.25", 8x10: 6"x8", 9x12: 7"x10"